I look at the beach and then at the table surrounded by nerds, deep in thought and conversation about Dirichlet priors, matching algorithms, and armed conflicts. This peculiar (in the best way) environment catalyzes a moment of reflection: how did I get here? Four years ago, as a second-year statistics PhD student, I watched “Guatemala: The Secret Files” on PBS Frontline World. I listened to stories of family members who disappeared without answers or justice. Then the story shifted to the work being done by archivists and data experts at Guatemala’s Historic Archive of the National Police. The scientists’ pursuit of the truth energized me. I found the research that I wanted to commit to for the (unknown number of) years to complete my dissertation. Now all I had to do was talk to some of these awesome researchers. Clumsily, I’m sure, I emailed Megan Price and expressed my enthusiasm. Her warm and helpful response launched a collaboration I am grateful for to this day. 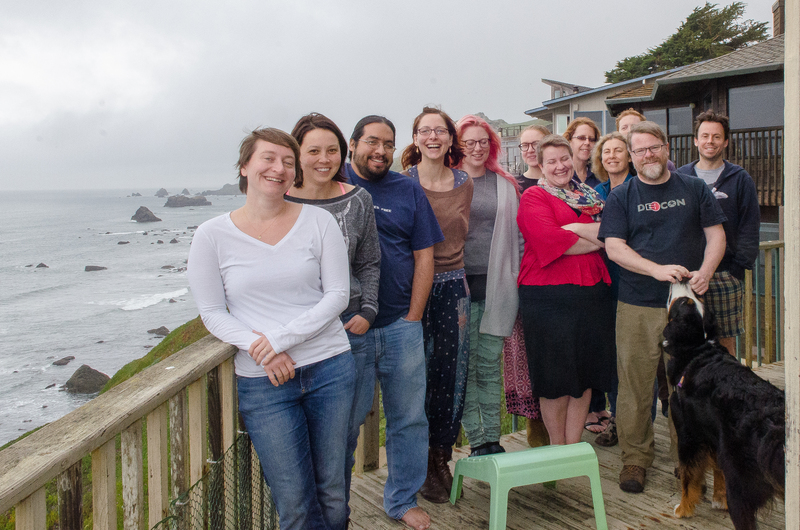 ​So we meet​ here, in a beach north of San Francisco, during the turn from winter to spring: March 19-23, 2015, thinking about models to estimate hidden violence. Conversations loop between the very general to the very specific and back again, sometimes all at once. A few statisticians explore modeling assumptions of multiple systems estimation (a.k.a. capture-recapture), uncovering identifiability issues at the heart of every statistical method applied to “real world” data, where missingness is inevitable and careful consideration of assumptions is vital. Political scientists, experts in both rigorous statistical methods and subject-matter context, describe connections between conflict dynamics in Kosovo and Syria and the challenges of matching records of deaths (a first and challenging step in population size estimation). After a shared delicious dinner (prepared by the culinarily inclined members of the group – not me), the ten of us Settle in Catan, noting the presence of probability distributions in the board game. After breakfast every day, we check in about our feelings (in true Northern California style) and coordinate our daily plans for who needs to talk to whom and when about what project. ​We enjoyed a visit from the most attractive member of the HRDAG family: McKinley Bear​, a Bernese mountain dog (see photo). I work some on a paper developing multilevel Bayesian models that account for the dynamics of data collection over time (fit to data from Colombia’s armed conflict). Then I wander around to eavesdrop on conversations. I enter a discussion on marginal versus conditional odds ratios in an effort to estimate the number of police homicides in the U.S. Several participants give talks, and I absorb wisdom from “G​ranpa​ Patrick’s Old Timey Unix Hour,” Daniel’s introduction to his (super cool) latent class models, and Kristian and James’ profound thoughts about identifiability. Before I know it, the weekend is over. We’re left with a lot of new to-do items, just like last year. But we plan to meet again next year, for more time, even more organized and prepared, with the same enthusiasm and wonderful thinkers.